6x3, 7x3, & 8x3 round to make that special bread even more attractive. 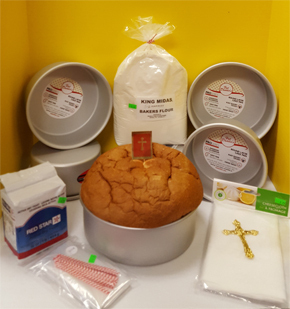 We also have link-free cheesecloth, bread bags, yeast & of course, King Midas premium flour. 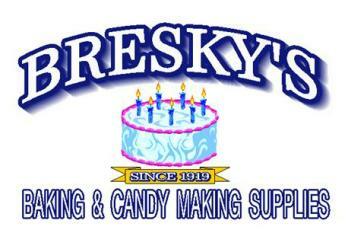 We are always coming up with new a tasty ideas. 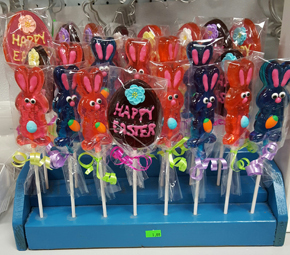 Here are some idea's for great Easter treats!! 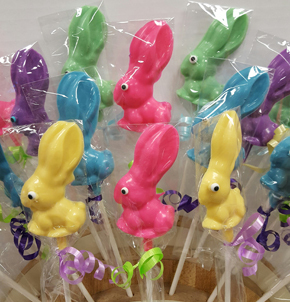 For all you bunnies out there! 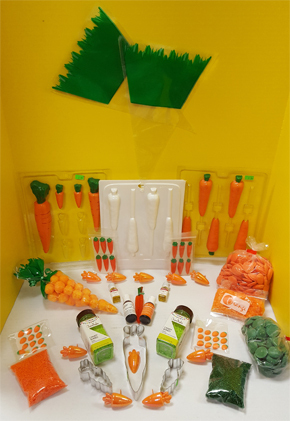 CHocolate & clear toy carrot molds, carrot cupcake picks, carrot cookie cutters, edible carrot shapes, edible candy shred & sprinkles. 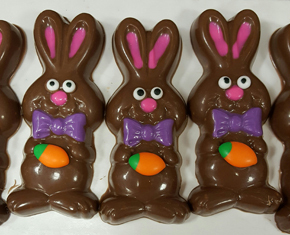 We also have green topped carrot bags to fill with cheesebals or popcorn. Why buy an expensive butter lamb every year? Make your own for much less year after year! 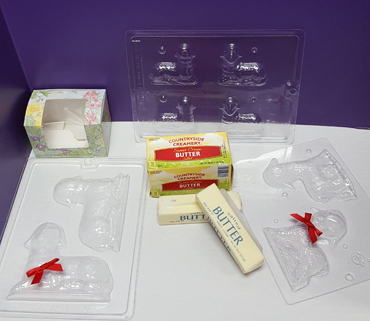 We have 3 styles of molds, red bows, candy eyes, & even boxes to put them in! 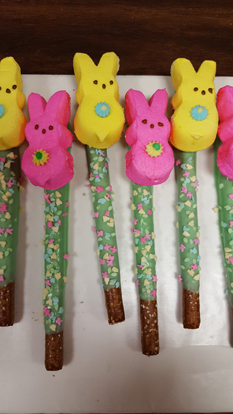 Dip a long pretzel rod in light green chocolate, top with mini Easter shape quins, & marshmallow Peeps bunny ! Cute little Bow Tie Bunny!